Scientists have developed a new method to rapidly diagnose pre-eclampsia in pregnant women. Pre-eclampsia is a condition that affects some pregnant women, usually during the second half of pregnancy or soon after their baby is delivered. 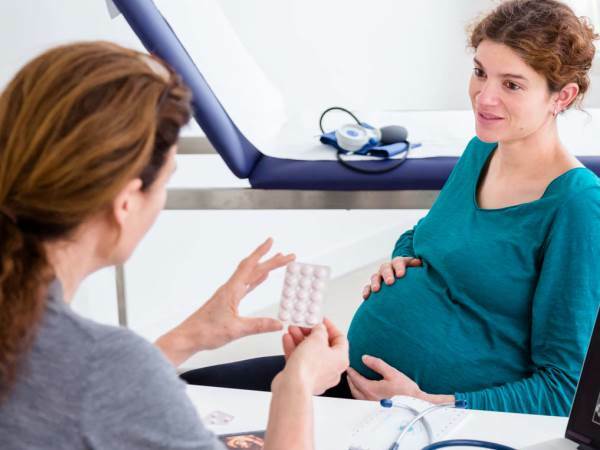 Early signs of pre-eclampsia include having high blood pressure and protein in the urine, with a mild version of the condition affecting up to six per cent of pregnancies and severe cases developing in about two per cent of women. Recent studies indicate that pre-eclampsia is linked with the abnormal presence in the urine of kidney cells known as podocytes, with researchers, led by Dr. Vesna Garovic of the Mayo Clinic, now discovering a new way to detect the cells. “This increased amount of fetal hemoglobin in preeclampsia may be causing the release of podocyte fragments in the urine,” she said. “We hope that this information will result in improved diagnostic procedures in women with pre-eclampsia." The researchers also found that fetal hemoglobin - the main oxygen transport protein in the human fetus, which is normally present in pregnant women’s blood in small amounts - is present in higher amounts in pre-eclamptic women’s blood. Accordingly, Dr. Garovic and her team are looking to try their test in larger numbers of patients and across different types of pre-eclampsia, and hope their findings will lead to better diagnostics and treatments for women with the condition. Pre-eclampsia can lead to kidney damage in many affected women. The only therapy currently available is the delivery of the baby, but this often means that infants are born prematurely and may have medical problems related to their early delivery. The full study has been published in the Journal of the American Society of Nephrology.